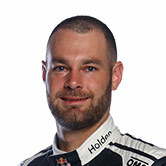 Fans of TEKNO Autosports' Shane van Gisbergen can go into the draw to win a hot lap with the Kiwi at the Coates Hire Ipswich 400, by purchasing any three-day pass to the event. Sitting fourth in the Championship after scoring a podium on Sunday at the Castrol Townsville 500 -Driven by TAFE Queensland, the quick Kiwi was recently described as one of the most aggressive drivers out there, as a compliment, by Championship leader Mark Winterbottom. Who better to jump in the passenger seat with, than one of the category's most flamboyant drivers? The Kiwi enjoys ride days, when fans have the opportunity to see what it's like inside the V8 Supercar. "Definitely -we don't often get to show that side of what we do, it's pretty cool to show them," van Gisbergen told v8supercars.com.au. "With the limited testing we do, we're still pushing on ride laps. So they'll get a good thrill, that's for sure!" A similar competition was held in the lead up to the Townsville event, with a fan jumping in The Bottle-O Falcon alongside David Reynolds. "Go Dave!" was all she could muster as she emerged from the car, after an exciting run around the 2.8km street track, during which she smiled and screamed as the Ford went within millimetres of the concrete lining the circuit. In addition to the competition, there's even more reason to head out to Ipswich Raceway for the event, with a unique True Colour Track Walk on Sunday morning. 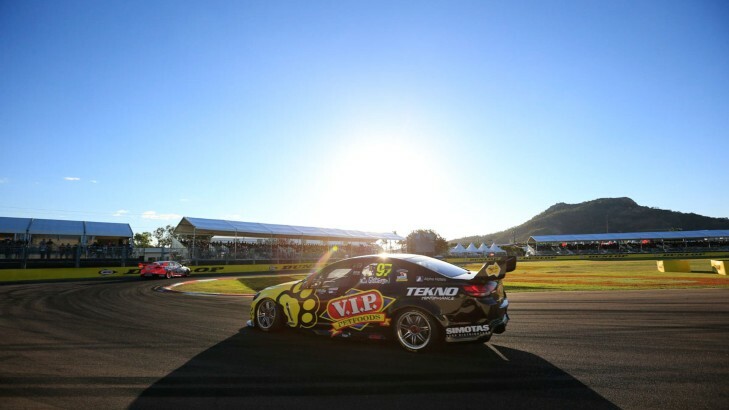 For the first time at the track, race goers can walk on the tarmac and get up close and personal to the V8 Supercars, which will be all gridded up. The track will be open for 70 minutes from 9.45am, with the drivers out for autographs and photos for some of that time. This follows two sessions of compulsory pit stop practice, where grandstand ticket holders and corporate guests will be privy to a pit lane walk, beginning at 9.20am. Get even more value out of your V8 Supercars ticket this year at the Coates Hire Ipswich 400 - book now! *Flights and accommodation not included in prize. Tickets must be purchased via Ticketek prior to July 31, 2014 to go into the draw.